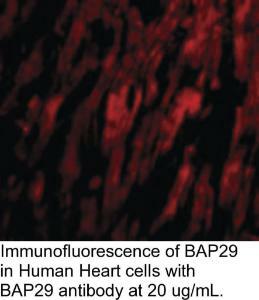 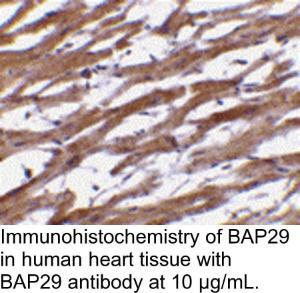 BAP29 Antibody: Bap29 and the related protein Bap31 are endoplasmic reticulum (ER) and ER-vesicle membrane proteins and members of the B-cell receptor-associated protein family. 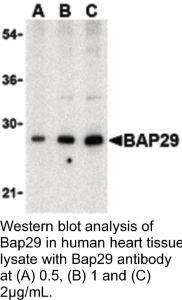 These two proteins are highly homologous and can form homo- and heterodimers. 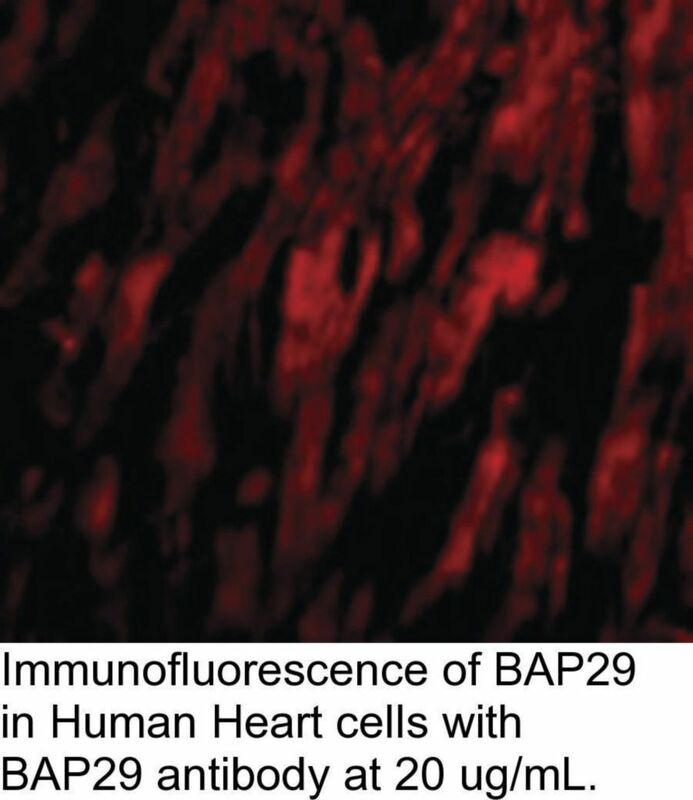 Both Bap29 and Bap31 interact with membrane-bound immunoglobulins (mIgs), such as IgM and IgD, which with Ig-alpha/Ig-beta heterodimers form B cell antigen receptors. 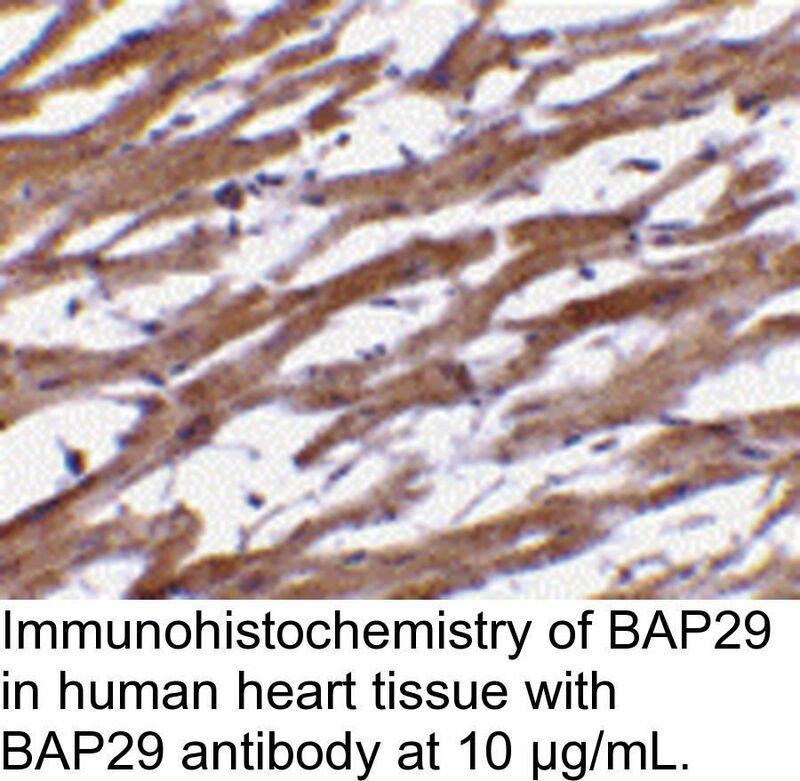 Binding of the Bap29/Bap31 heterodimer correlates with the ER retention of non-Ig-alpha/Ig-beta bound mIg complexes, suggesting that Bap29 and Bap31 may act as chaperones transmembrane regions of various proteins. 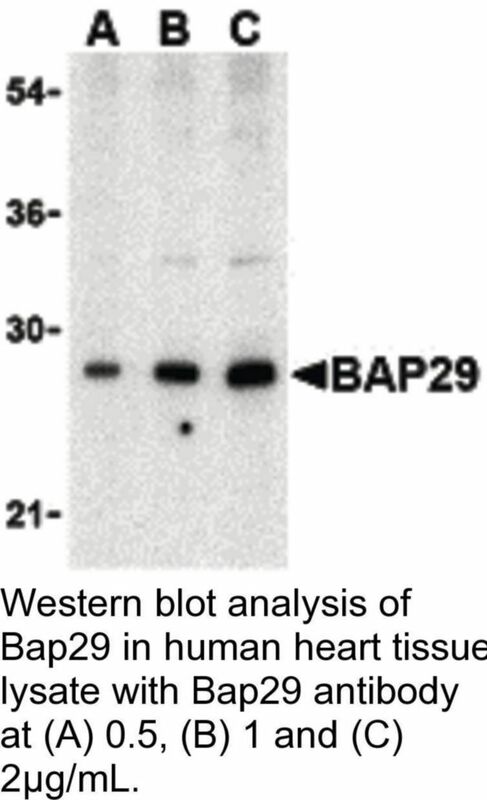 Bap29 possesses multiple isoforms.